From custom-fitted implants to life-size organ replicas, the ability to 3-D print a CT or MR scan opens up an exciting world of potential in radiology and health care in general. For Dr. Jonathan Morris, a Mayo Clinic neuroradiologist specializing in spine procedures, the brave new world of medical 3-D printing is practically business as usual. That’s because he and fellow radiologist, Dr. Jane Matsumoto, co-direct an in-house 3-D printing lab at Mayo and are at the forefront of discovering new ways 3-D printing is poised to improve patient care. HealthCare Business News spoke to Morris about how the utilization of 3-D printing grew at Mayo Clinic in Rochester, Minn., what types of cases benefit the most from the technology, what hurdles stand in the way of greater utilization across the industry and why he believes medical 3-D printing belongs under the umbrella of radiology. 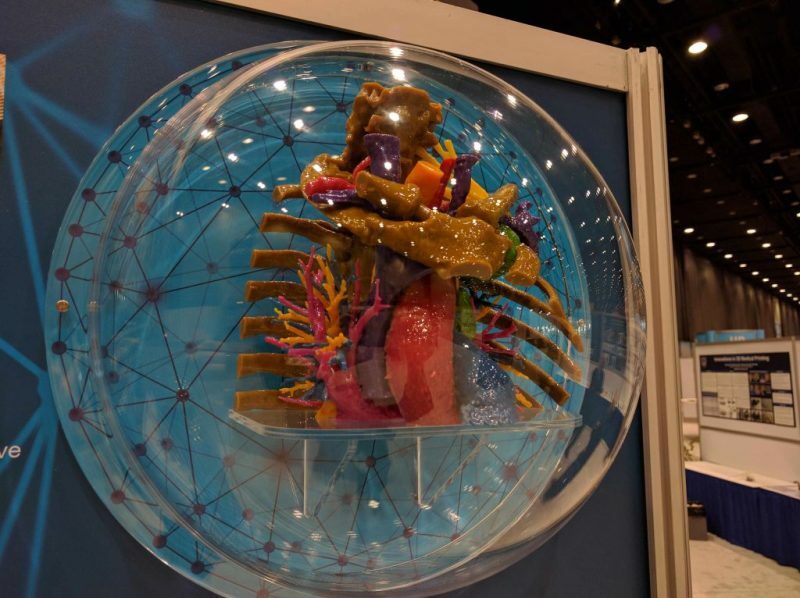 HCB News: What are some ways that 3-D printing has benefited Mayo Clinic? With 3-D printing, most of it starts with either a CT or MR scan. We upload that into medical CAD software and then we color code the things we want to print through a process called segmentation. After that we can put them into SDL file format which we export to the printers. One CT of the entire spine, for example, might be 5,000 images, so to be able to get all that through a machine into a printer requires significant computing power. We started doing patient-specific, pre-surgical simulations at Mayo with mandibular tumors where we plan all the cuts ahead of time and we actually print cutting guides that are screwed onto the patient’s bone. Doing this, you decrease the time in the OR, improve the outcome of the patient and decrease the cost, which is the holy grail of medicine. Then, one of our world-class vascular surgeons made a similar discovery. He works with companies to make stents, but sometimes there is not a solution on the market so we started printing patient-specific aortas that had an aneurysm and developing custom solutions for them. They also started practicing difficult stent placements. We take the CT scan and turn it into a three-dimensional model and then they would do the actual interventional procedure on the model, which is an exact replication of the patient’s anatomy. In doing so, we moved into patient simulation.